At the bottom of northern Michigan’s Grand Traverse Bay sits Traverse City, a homey town of friendly charms that draws a million tourists per year. When the summer sun is shining, families occupy the multitudes of beaches on Lake Michigan’s swimmable water. The breezy weather scarcely resembles lower Michigan’s sticky, debilitating humidity. And when winter comes, Traverse City transforms into a skiing utopia. The Hickory Hills ski area is located in a quaint Traverse City neighborhood, while the mysterious Schuss (pronounced “shush”) Mountain and its many kid-friendly slopes are a mere 40 miles away. 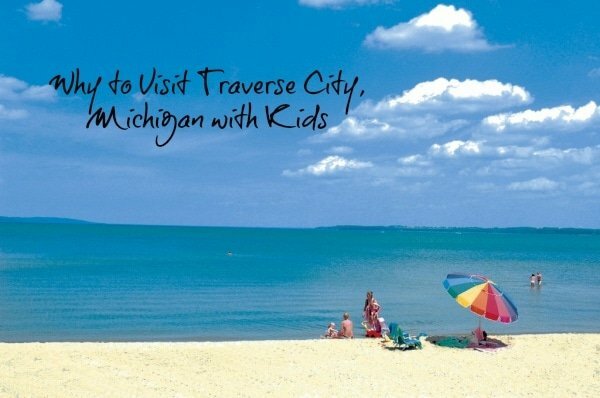 Here are four reasons to visit Traverse City with kids. Their journey was a worthy one, and Traverse City now has some excellent beaches on the shores where they landed. Two miles from downtown is the Traverse City State Park Beach. This beach offers more than just sandy beauty: picnic areas, lifeguards, and restrooms make it an ideal choice for parents with young children. For families with children who might not be proficient swimmers, choose the beach at East Bay Park instead. The water is shallow for a considerable distance and there’s a playground to occupy water-averse children. For families looking for some contemplative, meditative beaching—along with bathrooms and picnic tables—Bryant Park Beach is one of the less crowded options, and removed from the downtown scene. Twenty-five miles to the west of Traverse City is the Sleeping Bear Dunes National Lakeshore, a stunning expanse of massive sand dunes that stretches 35 miles along the lake’s shore. In 2011, ABC’s Good Morning America named it the “Most Beautiful Place in America.” That’s probably a bit extreme, but it is one of the Midwest’s most handsome offerings. While there are beaches on the shore, climbing the dunes is what really justifies the visit. After dropping your electronics and cell phones at the dune’s base, you’re free to ascend the mystical hills and lose yourself in its hallucinatory splendor. You can also just climb a little bit and roll down the hills, which is where the appeal comes in for kids—there’s endless space to run free and scream. Shoes are discouraged and the opportunities for rolling down giant hills of soft sand are irresistible. 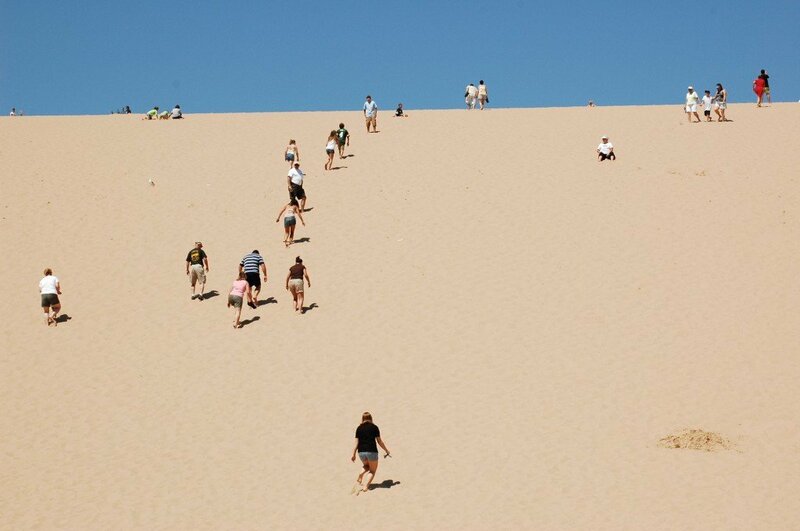 For older kids and families not scared off by some cardio work, the dunes offer an amazing chance to explore the desert-like vistas; it’s quite easy to enter a timeless head space, and the Chippewa legends about the dunes’ origins almost become tangible. Traverse City’s downtown area offers many amusements for kids, many of which involve miniature golf. 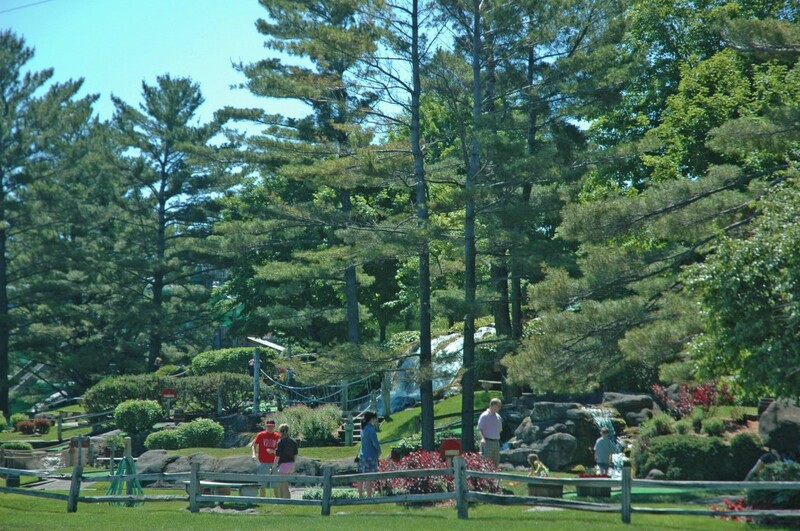 Forget preconceived notions about mini-golf just being mazes of dreary putting greens and a way to frustrate children—the Traverse City courses are creative and tend to be part of broader amusement centers that include go-karts and arcades. Pirate’s Cove is a worthy franchise that offers a mountainous course with pirate-inspired holes. Surprisingly, it’s not overly corny. Even its obligatory wooden ships and creaky cells are nicely incorporated. Down the road is Pebble Brook, a decidedly more unassuming location that has a fun Go Kart course in addition to golf. It has been accused of being a bit rundown, but everything works and nothing is visibly broken. Should it rain during your vacation or your family prefers to stay inside, Lucky Jack’s beckons. Billed as “Northern Michigan’s Largest Indoor Family Fun Center,” it’s a 12,000 square foot complex that has bowling, bumper cars, arcades, and pizza. Traverse City has earned its title as a great vacation spot. Not only does it provide unequaled access to glorious Lake Michigan, but also it’s infused with a Northern Michigan friendliness that can charm the most hardened urban dweller. Its quality has been confirmed through notable accolades: Fodor’s included it in their 10 Best Small Towns in America list, while National Geographic named it one of the Top 10 Summer Trips in 2012. It’s certainly a great introduction to Michigan’s dynamic beauty, and a Midwest treasure with enduring appeal. Do you have a favorite Midwestern family vacation destination? Let us know in the comments below! We love Traverse City and the surrounding area. We’ll be traveling there next month – my first trip back in about ten years, and our first trip there with kids. Should be fun! Excellent Francesca. The weather has really calmed down here in MI, and the water’s good for swimmin’ right about now. It’s always quiet up in TC, which is a rare quality for popular destinations. The dunes are pretty irresistible for most youth–I’m sure they’ll love it. We spend 12 days a few weeks ago road tripping around MIchigan. Loved the whole state. Traverse city was beautiful as were the surrounding areas. Joe, the surrounding areas are fantastic for driving around. Even if one gets lost, the long and hilly stretches of roads surrounded by pines make it worthwhile. Looks like there is more than meats the eye there huh? I’ve got a friend from Michigan and she is always saying how I should go with her to visit. Seems like it might be time to nail down a trip after all. Indeed Jenn, now’s a good time to go. I used to date a guy who lived in Traverse City and he loved all the lakes. Also, he spoke highly of the vibrant music scene..great camps and festivals! He was right, Amber. Additionally, Interlochen Center for the Arts is only a half hour south of Traverse City, and–in addition to being a renowned center of musical education–hosts a lot of good outdoor shows in the summer. I saw James Taylor there several years ago; it’s a fairly large venue, but still feels intimate. Acoustics are good, too.